According to the American Cancer Society, breast cancer is the most commonly diagnosed cancer among Hispanic/Latina women and the leading cause of cancer deaths in Hispanic/Latina women living in the U.S.
Hispanics/Latinos are the fastest-growing minority in the U.S. Yet, there are limited studies about breast cancer in Hispanic/Latina women in the U.S. We know that their rates of breast cancer incidence and death are lower than non-Hispanic white women. Yet, Hispanic/Latina women present for care with more advanced stage breast cancers than non-Hispanic white women. We know that Hispanic/Latina women tend to be less aware of breast cancer and their risk factors for getting the disease. Many have limited access to health care as they don’t have health insurance. Also, language barriers and a lack of knowledge about the healthcare system can keep some women, who are foreign-born, from accessing care until they are in pain from an advanced stage breast cancer. Hispanics born in Mexico are not as likely to have a history of breast cancer in their families as those born in the U.S. 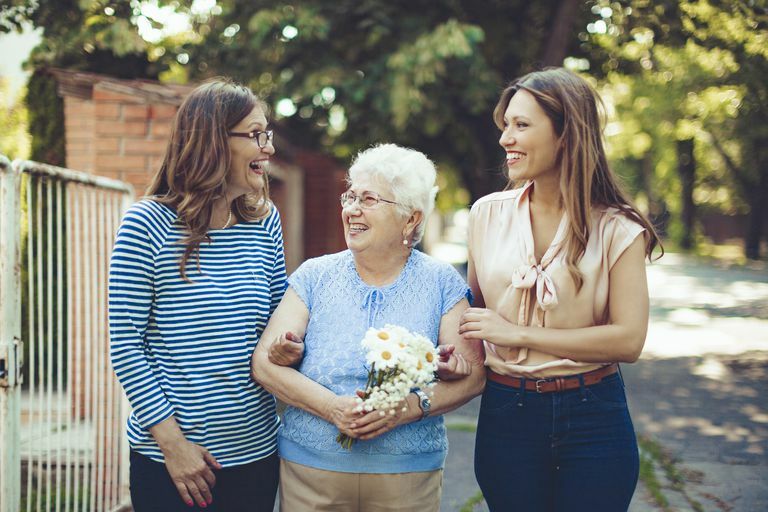 However, those that do have a family history may have double the risk of getting triple-negative breast cancer tumors that are harder to treat. They also have six times the risk of getting these tumors at a young age. The American Cancer Society puts the number of Hispanic/Latina women diagnosed with breast cancer in 2015 at about 19,800, with estimated deaths from the disease at 2,800. The incidence rate of breast cancer in Hispanic/Latina women, however, is 28 percent lower than in non-Hispanic white women. This rate is even less in women who were not born in the U.S.
For those women who develop breast cancer, they often do so at a younger age than non-Hispanic white women. Many Hispanic women present for care with later stage cancers that are aggressive, harder to treat, and have a poorer prognosis. Women who use high-dose estrogen oral contraceptives for family planning may also increase their risk of breast cancer. In the years 2008 through 2012, about 57 percent of breast cancers diagnosed in Hispanic/Latina women were caught at an early stage and confined to the breast. During this same time period, 65 percent of non-Hispanic white women were diagnosed with an early stage cancer that was still local to the breast. When Hispanic/Latina women have a breast cancer that is local to the breast, their five-year survival rate is estimated to 96 percent. What this means is that 96 percent of women diagnosed with local breast cancer are expected to be alive five years after being diagnosed with breast cancer. When their breast cancer is considered regional, the cancer is in the lymph nodes—primarily those in the armpit as well as in the breast—and the five-year estimated survival rate is 85 percent. When women are diagnosed with a distant stage breast cancer—meaning cancer that has spread beyond the breast and is now in distant organs, such as the lungs or bones—the estimated five-year survival rate is 31 percent. Studies indicate that Hispanic/Latina women do not have the same mammography utilization rates as non-Hispanic white women. They also have higher delay rates for following up on abnormal screening rates as well as delaying diagnosis and treatment for breast lumps they discovered themselves. These factors can contribute to having more advanced cancers at the time they present for care. Additionally, Hispanic/Latina women are often diagnosed with tumors that tend to be larger and are hormone receptor negative, making the tumors harder to treat. And another issue for Hispanic/Latina women is that they are less likely to receive appropriate and timely breast cancer treatment when compared to non-Hispanic white women. Having hospital patient navigators that follow patients from diagnosis throughout their treatment, making sure they keep appointments and helping them navigate a complicated healthcare system, can help insure that women will adhere to their treatment regime. Bilingual navigators can improve communication between the surgeon and oncologist and the patient, which helps reduce the patient’s level of anxiety. (Where such programs are in place, care disparities have been reduced). During my years with the American Cancer Society Navigator Program, I met and spoke with several hundred women who lived in the Hispanic/Latina communities served by the NYC Health and Hospital System. Most of the women ranged in age from their 30s to their late 60s and many had advanced cancers. Often, women came into treatment through the emergency room, where they went for pain relief or after finding a large lump in their breast. Many believed the myth that if there was no family history of breast cancer, they would not get the disease. They were not aware that only about 10 percent of those diagnosed with breast cancer have a family history of it. As a result, most had never had a mammogram or even a comprehensive clinical breast exam. They only saw a physician when they were sick or pregnant. Language barriers and not knowing how to navigate the complex healthcare system were reasons given by some of the women as to why they waited to get treatment after they found a lump. Others shared what many women feel, despite race or ethnicity—that fear kept them from coming for care sooner. They feared the disease, the treatment, the loss of their hair, breast, and femininity. Fear of the loss of a significant other was also a major issue. Some did not view breast cancer as a disease, but feared it was a punishment for something they did earlier in life. What these Hispanic/Latina women shared clearly indicated the need for community-based breast cancer awareness programs led by Hispanic/Latina women, preferably survivors who can speak to the need for early detection and treatment. In 2007, the National Cancer Institute and the American Cancer Society reported on a study indicating that, despite equal access to healthcare services, differences persist in the size, stage, and grade of breast cancer for Hispanic/Latina women compared with non-Hispanic white women. The study compared Hispanic/Latina women and non-Hispanic white women with breast cancer who were all established members of the Kaiser Permanente Colorado health plan. If we are going to reduce the incidence of Hispanic/Latina women presenting for care with late-stage breast cancers, then breast cancer awareness outreach needs to happen in communities where Hispanic/Latina women gather for meetings or social events, such as schools, houses of worship and community centers. Materials need to be in Spanish and community educators, preferably survivors, need to be an ethnic and cultural match to the women living in those communities. The message needs to be clear: Know your risks for breast cancer. Get a mammogram regularly. Practicing avoidance and denial won't prevent you from getting breast cancer, but early detection and intervention can save your life. Cancer Facts & Figures for Hispanics/Latinos 2015-2017. American Cancer Society. 2015. More Aggressive Breast Cancer in Hispanics Independent of Healthcare Utilization. American Cancer Society. 2007.